When a full paying adult purchases one of the participating products during the period of June 11 – 24 and August 29 to when the season closes, one child under the age of 18 will receive a lift only pass for free for every adult pass. When the adult purchases lift and rental, the child receives a lift and rental pass for free. Lift & Lesson Pass, Max 6 persons in each class. Valid July 18 to August 28. Thredboland 3-6 years, Riglets 4-6 years and Freeriders 7-14 years, available when adult purchases 3 day pass. Value Season June 11-24, August 29- Oct 03. 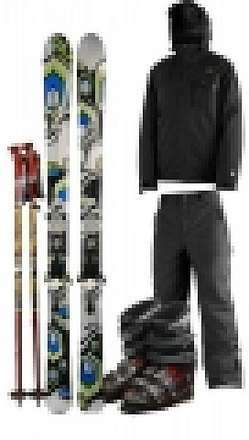 Adult Lift Pass and Sport Rental Package-Skis Boots and Poles or Snowboard and Boots. 3 days for the price of 2 days Beginner Package of lift lesson and sport rental. Learn to Ride Lift & Lesson Pass. For weekly Passes Any 5 days of 7, 6 days out of 8 or 7 days out of 9. Jacket and Pants for skiing or snowboarding.